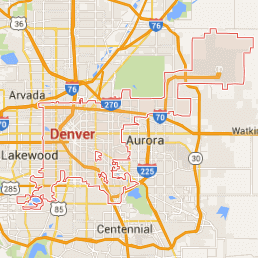 The goal of 911 Restoration Denver is to provide homeowners with a fresh start through quick and reliable water damage repair and restoration services. Our water damage Lakewood technicians are licensed, insured, and bonded to be able to patch up various water-related concerns such as roof leaks, pipe bursts, and flooding. Water damage can put any homeowner into a difficult situation and issues can often come almost without warning. The best way to address a sudden pipe burst or leak is to call 911 Restoration right away. With our industry leading response time of within 45 minutes we’ll make sure that the problem is patched up as soon as possible. When our team arrives on your property, we’ll spring right into action by providing you with a free inspection and estimate that will determine the location of the problem and will provide you with the most affordable price. Our licensed, insured, and bonded professionals have almost four decades worth of experience in dealing with water damage in various shapes and sizes. Whatever the issue plaguing your home, you can count on 911 Restoration’s assistance any time because we’re available 24/7/365. Whatever the emergency, you can trust in our on the day service to provide you with peace of mind. 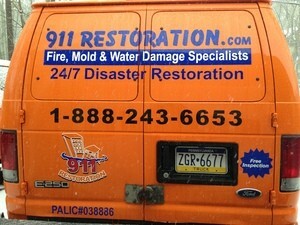 911 Restoration and our water damage Lakewood professionals want to make sure your home is safe and comfortable for you and your family through our water damage repair and restoration services. Regularly inspect your roof for signs of damage – Roof damage is one of the primary causes of roof leaks and being able to detect them early on through an inspection reduces the chances of water intrusion through a hole in the roof. Check for damage like missing, buckling, or curling shingles. Make sure your gutters are clean and free of debris – Clogged gutters will make rainwater spillover which can lead to water getting into the roof and the foundation of your home. To prevent these problems, it’s best to have a regular cleaning schedule to keep gutters clog-free. Inspect your plumbing system – Your plumbing system needs to be inspected for signs of cracks, rust, or leaks. Being able to check on the condition of your pipes helps in avoiding pipe bursts. Check your attic for signs of excess moisture – Excess moisture is an indication that your there isn’t enough ventilation. It could mean roof damage as well. Keeping the moisture levels within your home to minimum will help prevent mold growth. Whenever you need help with a water damage situation, you can count on our water damage Lakewood team with 911 Restoration Denver to be ready to give you a fresh start right away when you call us today!